After numerous delays following the initial announcement at CES 2011, Verizon Wireless finally came clean to reveal availability and pricing for their first 4G LTE smart phone: the HTC Thunderbolt. 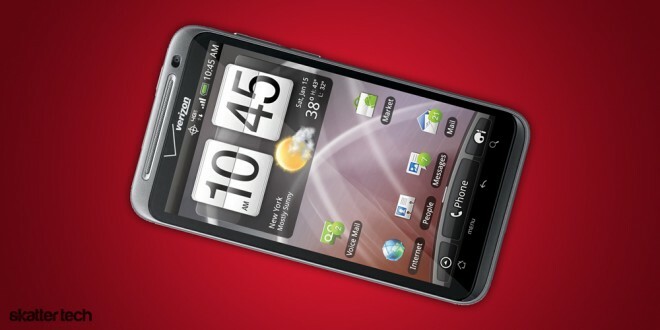 The device will be available online and in Verizon Wireless stores on March 17th for $250 with a new two-year contract. Existing customers due for an upgrade will likely receive additional discounts. While 4G LTE connectivity offers 5 to 12 Mbps download speeds and 2 to 5 Mpbs upload speeds, the Thunderbolt fully supports 3G networks for those who do not have coverage. The phone is also one of the first Verizon Wireless to offer support for simultaneous data and voice, bringing it up to par with AT&T’s network capabilities. Of course, it also has standard WiFi connectivity as well. Two notable drawbacks might be the lack of the latest Android 2.3 Gingerbread OS and a dual-core processor. Fortunately, HTC can easily issue an update over the air, but the Thunderbolt definitely won’t outperform the upcoming Verizon Wireless Droid Bionic or the AT&T Atrix 4G. As a HTC EVO 4G user, I have eagerly awaited to get my hands on a HTC Thunderbolt. I have already seen better speeds in the San Francisco Bay Area with Verizon Wireless 4G LTE over Sprint 4G WiMax. Although there is nothing revolutionary that sets this device apart from last year’s EVO 4G, there are many gradual refinements, improvements, and enhancements. I would also suggest skimming our Verizon Wireless Infographic which lines up the iPhone 4, Thunderbolt, and Droid Bionic. After making it past the one-time hefty $250 price tag for the hardware, get ready for monthly subscription costs. Voice plans begin at $40 with a required 4G LTE data plan that starts at $30, bringing the cost of the most affordable plan to $70. In addition, the mobile hotspot feature will cost customer another $20 for 2 GB of data each month. Fortunately, Verizon Wireless is waving all mobile hotspot usage fees through May 15th to get people interested.